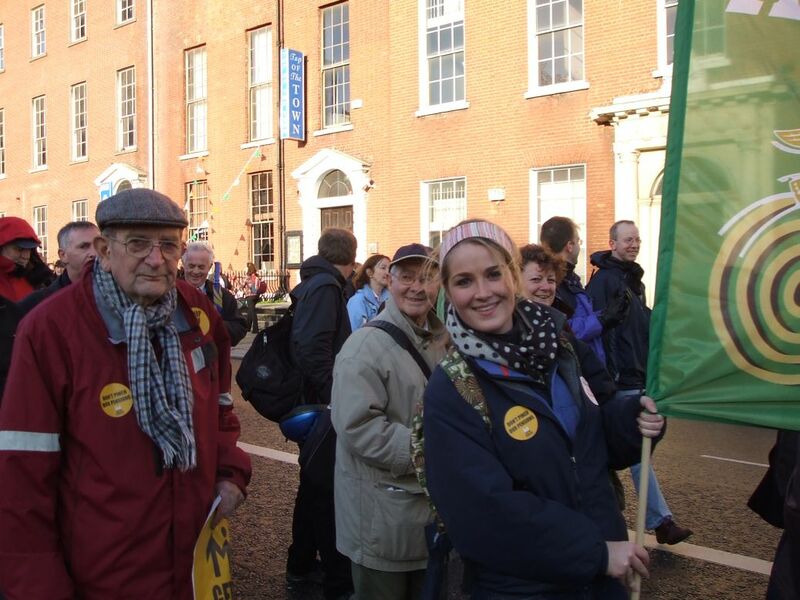 The Irish Senior Citizens Parliament took a proud part in Dublin’s Day of Protest (November 6) as part of the “Get Up, Stand Up” campaign. Many of our volunteers came out to lend their support to the campaign which aims to protect jobs and pensions as well as vulnerable people and vital services. Here are a few pictures from the March in Dublin. If you have any comments on the campaign or pictures from the other marches around the country, leave a comment in the box below or e-mail us and we will try to add them to our news here. ONE YEAR ON – WHAT FATE AWAITS OLDER PEOPLE IN BUDGET 2010? 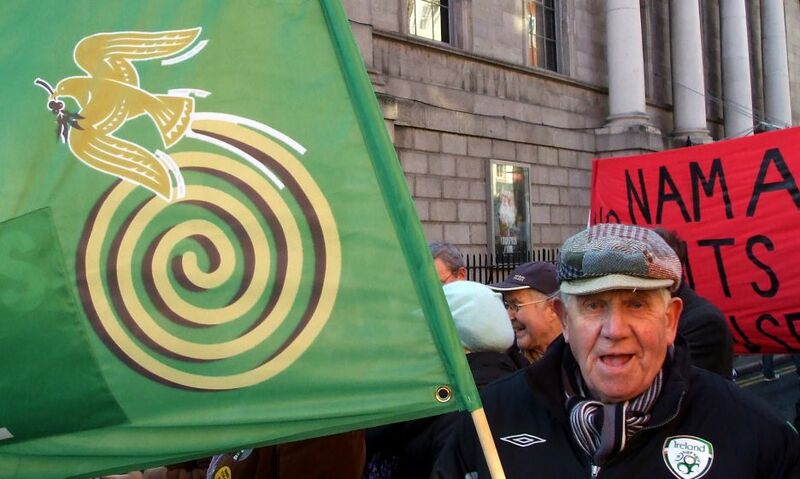 On 22nd October it will be one year since thousands of Older People from the length and breadth of Ireland protested at Dáil Éireann against the withdrawal of the medical card for the over 70s. That protest, organized by the Irish Senior Citizens’ Parliament, was the result of an attempt by Government to break faith with Older People on an issue which they considered to be vital to their health and wellbeing. Access to services as of right for all Older People and especially access to travel and the entitlement to the Travel Pass to continue to be available for all Older People”. “We should judge our government by how it treats society’s most vulnerable. We hope the government demonstrates its concern by protecting Ireland’s older citizens in Budget 2010” concluded Ms. Hayes. A forum which will allow both Pro and Anti Lisbon Treaty sides in the Referendum debate an opportunity to present their positions. Our intention is that Older People will be enabled to learn more about Europe and raise questions on issues and areas of concern to them. Usually August is a HOT Month, August is a HOLIDAY Month, August is a HEALTHY Month for Older People & Their Families. At a specially convened meeting today Saturday 9th August the Executive of the Parliament considered the reports from around the country of the severe impact the Pharmacy Dispute was having on all older people. Speaking following the meeting, Máiread Hayes CEO of the Irish Senior Citizens Parliament stated that “the dispute is now seven days old and the impact on older people in some pockets of the country is severe. A resolution must be found and common sense and logic demands that interventions at government must be made to end the impasse. We are aware of a harsh winter ahead and the promise of harsh and hard measures, so let’s stop the queuing and allow those who have friends and families with them in this holiday month enjoy it without the worry of having to travel and queue to get much needed medication. Concluding she called on the Minister for Health and Children to start the process now.